It’s been no secret that bedtime with Aubrey has been nothing but challenging since we transitioned her to her crib (that was at 5 months old). Every night was different. It took anywhere from 45 minutes up to 2 hours to put her to bed. Once we figured out what worked, our little princess changed her nighttime demands. It was exhausting. It gave me anxiety. We never left our house, because if her own parents couldn’t get her to sleep, there was no way I was leaving her with a babysitter to have them attempt the bedtime battle. That thought made my anxiety sky rocket. I knew while I was out somewhere she would be at home screaming. I couldn’t do it. I think I’ve left her possibly 2-3 times at bedtime. 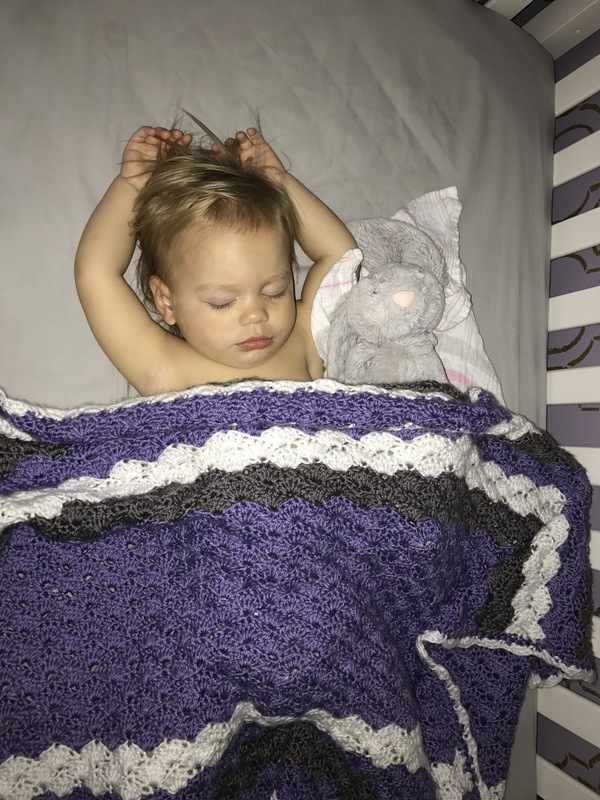 Once we did finally get her to bed, she woke up… constantly. The first wake up was always about 30-45 minutes after she fell asleep. Approximately 1 sleep cycle. From there, she would wake up anywhere from 2-5 times a night. Every. Single. Night. The wake up I hated more than anything in the world though… was the one 30 minutes after I fell asleep. I’d been asleep just long enough to feel like a zombie, and actually feel angry as I stumbled out of bed and down the hall to nurse her back to sleep. I stopped going to sleep at my normal time, and started waiting until she woke up at 11-11:30 so I could put her back to sleep. There were a couple times where she would sleep through the night. A full 12 hours, and I would get all excited and hopeful! We made it through! We’ve reached the light at the end of the tunnel! Only for the sleeping to revert back a week later. Talk about a buzz kill. 7:00-7:30ish – “Aubrey, are you ready for bed?” to which she responds “bed” while shaking her head yes. (WINNING) Then we head to her room, and Paul says a prayer. Then she leans forward, gives Paul a kiss then pushes him out and says “Bye” so I can put her to sleep. It literally CRACKS US UP!! Then I nurse her for a few minutes and within 10-15 minutes I’m free, and shes asleep! She wakes up 1 – 2 times a night still, but it feels heavenly in comparison to 3-4. While you’re in the thick of it, people saying “It will get better” can drive you crazy. Then at some point, it does get better and you don’t even realize it until you’re on the other side of it.